It’s Take Your Child to the Library Day! 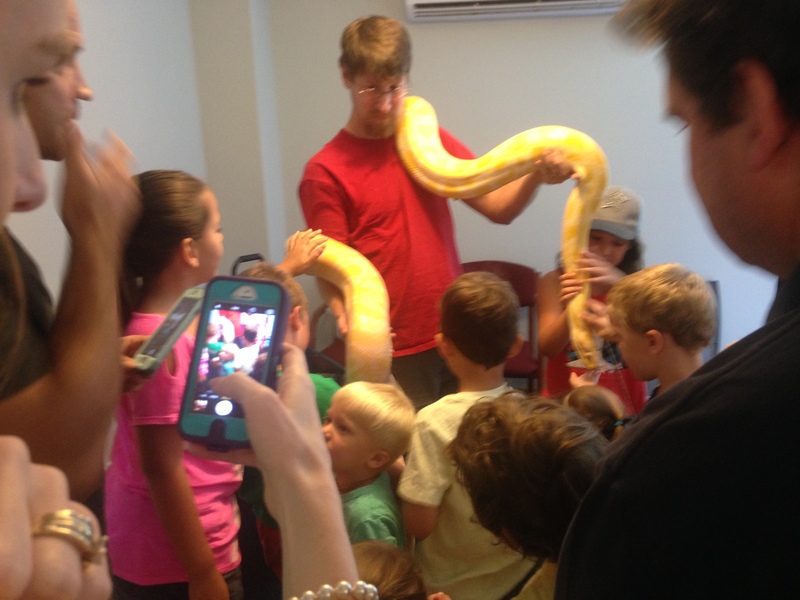 Reptiles and Amphibians from around the world come to the library for an up close and personal encounter. A wide variety of creatures from the dense, lush rain forests to the harsh, arid deserts will be on display. Ask questions, feel the hard shell of a large land tortoise and learn what it is made out of, touch the scaly skin of a giant snake and learn how it grows, look into the eyes of a red-eyed tree frog and discover why they are red.